The City of Donna is located in Hidalgo County in the state of Texas, neighboring the Mexican city of Rio Bravo accross the Rio Grande. As of the 2016 U.S. Census estimate it has a population of over 16,000. 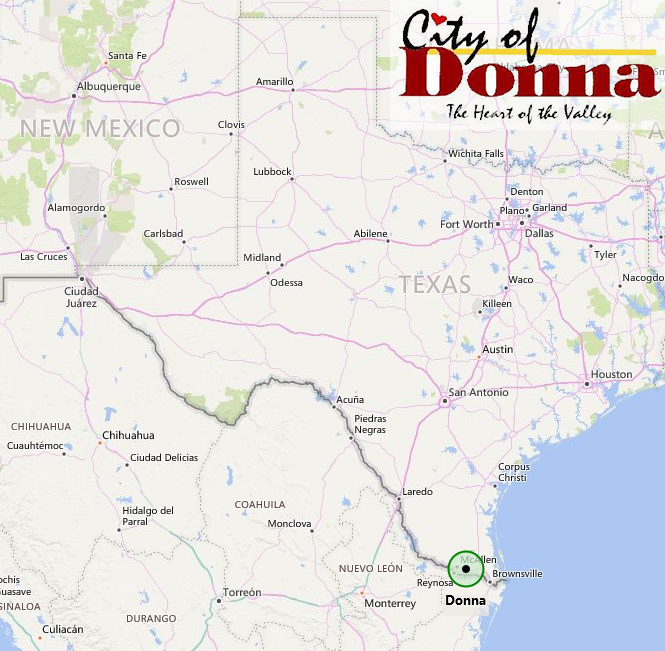 Donna is part of the McAllen–Edinburg–Mission metropolitan area. The City of Donna's International Bridge does not handle commercial cargo. Mexico Border City: Rio Bravo, Tam.